Please fill in the following details. We will be in contact with you shortly. FBCC is committed to providing our members with excellent opportunities for intelligent networking through exclusive business and social events. Being a member of the Chamber gives you a chance to create new contacts by accessing the Finnish-British and international business community and also access to various tools to aid in your career development. Access to a unique Finnish-British and Nordic business community. Access to the Team Finland network including Business Finland and the Finnish Embassy in London amongst others. 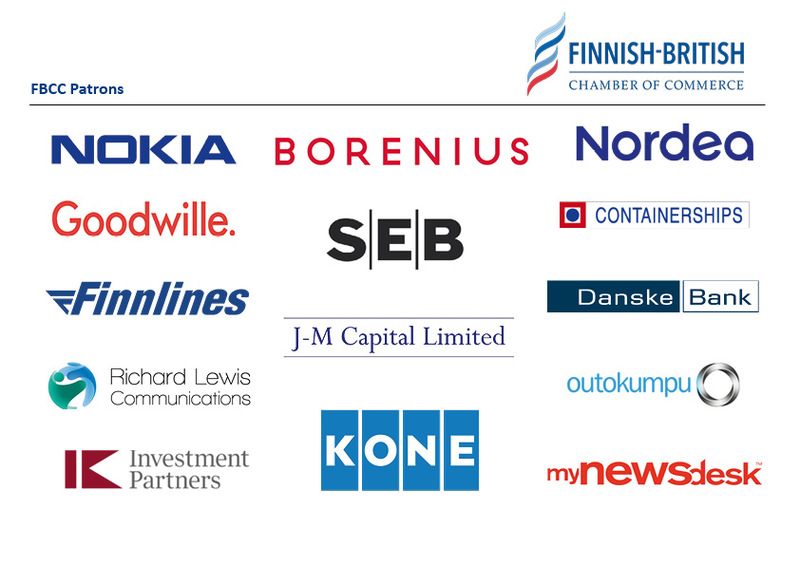 One-to-one introductions to people in the FBCC network including member companies, London & Partners, Department of International Trade and Finnish Central Chamber of Commerce. Opportunity for all company employees to participate in FBCC events either for free or at a discounted rate. Members can also bring guests, often for reduced fee or cost free. Events include conferences and seminars, workshops, company presentations and visits to advance the professional and personal skill set. We also host social networking events such as after-work drinks and traditional Finnish celebrations, like the Crayfish Party and the Christmas Lunch. Invitations to events hosted by other members or external partners. Possibility to host events together with the Chamber in various locations. Have your company logo and link to your website in our dedicated website page. Advertise events and news in our social media network. Advertise offers to our members with e-mail shots and on our website with a discounted price. Post job adverts in our monthly newsletter or social media, including a private LinkedIn group. When joining the Chamber, your company will be presented on our website, social media and in our monthly newsletter which is sent to over 1,100 individuals. This includes company description, logo and a link to the website. This membership allows ALL employees of the company to take advantage of the Membership Benefits including discounted event fees. In addition to all the Corporate Member benefits, Patron Members are given exclusive access to a network of the Chairmen and MDs of the largest member corporations. Patron companies are also offered various additional promotional advantages including having their logos and news on the Chamber’s website on a dedicated Patrons’ page and news section. Guaranteeing constant presence, a comprehensive Patron company profile page on the FBCC website with a full-length company presentation and any additional aspects agreed upon will be created for Patrons. Patron companies will receive an invitation to the Patron’s Dinner at the Ambassador’s residence where they’ll have the opportunity to meet key decision makers in the Finnish-British and international business community and senior government officials. Patron members will also have the chance to take part in planning and development of the activities of the Chamber and have the opportunity to be elected to the Chamber’s Board of Directors.